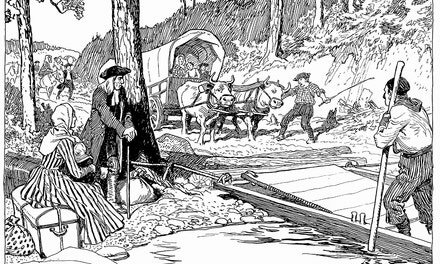 Thomas Carleton, born in Ireland, 1735, entered the army, and after some years of active service was sent to Canada in 1776 as Quarter Master General under his brother, Sir Guy Carleton, Governor and Commander-in-Chief. 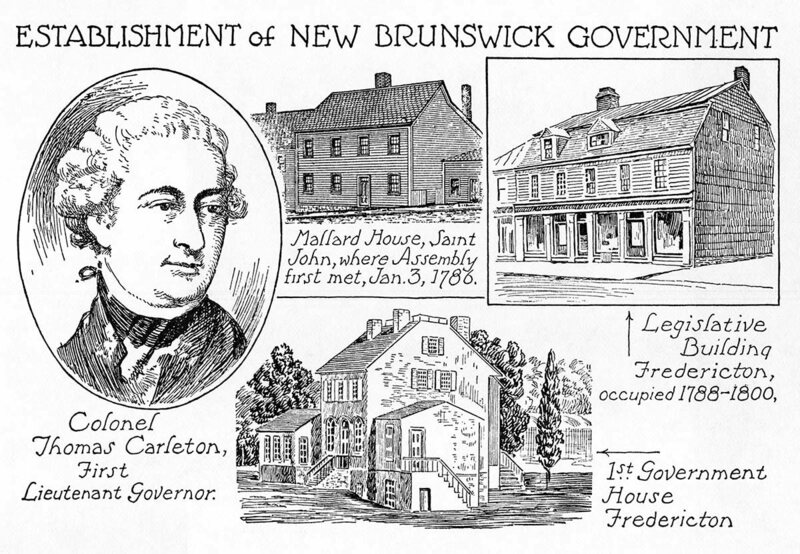 In 1784 he was appointed Lieutenant-Governor of the new province of New Brunswick. 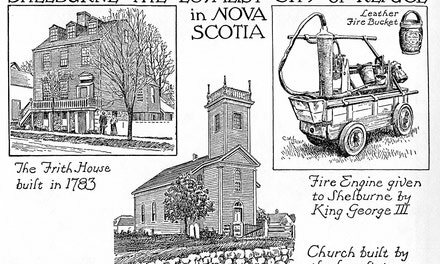 Established the capital at Fredericton, returned to England in 1803, where he died in 1817. Shelburne, previously known as Port Roseway, the most extensive settlement of the Loyalists in Nova Scotia, was established on a fine harbour on the south-west coast of the province.